A deeply nourishing conditioner suitable for dry, wavy or curly hair. 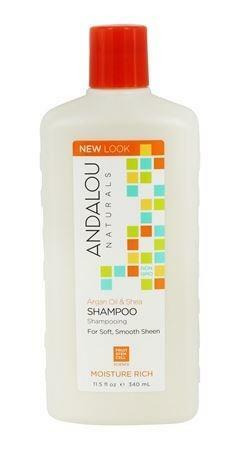 Andalou Argan & Shea Moisture Rich Deep Conditioner has 99% naturally derived ingredients. This deep conditioner uses a Fruit stem cell complex and argan oil to deeply nourish and condition your hair. The moisturising shea butter supports elasticity, strength, and manageability to help minimise the look of split ends and frizz. The result is noticeably soft, smooth hair with amazing sheen. How to use Andalou Argan & Shea Moisture Rich Deep Conditioner; Daily or as needed for deep treatment. Apply to clean, damp hair, working from ends up, and rinse. Style as usual. Benefits Dry, Wavy, and Curly Hair. Gentle and colour safe.